The Palomar Group is pleased to bring to market two new listings this week in Oklahoma and Virginia. 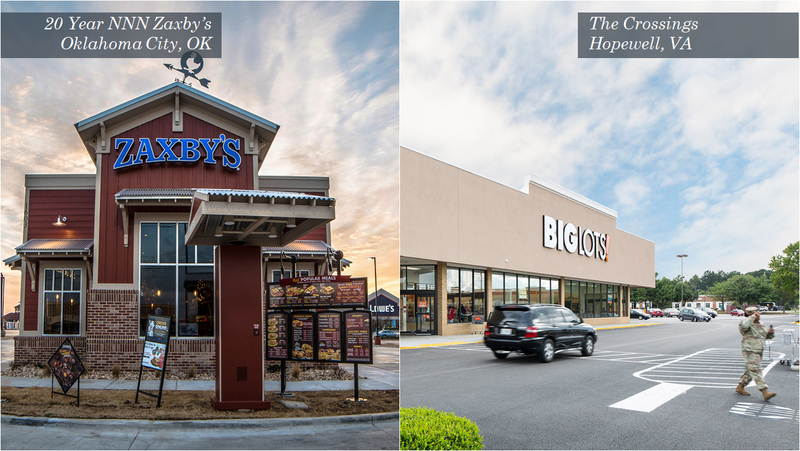 In Oklahoma, we are offering a new construction NNN Zaxby’s. This asset is located just outside of Oklahoma City. It has a new 20 year lease with 10% bumps every 5 years. In Virginia, we are offering The Crossings, a 220,250 SF multi-tenant retail center located at the gates of Ft Lee just outside of Richmond, VA. This center has had historically high occupancy with tenants including Big Lots, Rite Aid, Dollar Tree, and more.